When I was a kid, I went to my (very indoorsy) parents with a not-so-strange proposition. I wanted to go camping. My parents smiled and agreed that it was a great idea, and soon thereafter, we found ourselves on our first RV trip. That hadn’t been my intention — I’d been dreaming of a classic camping trip, the kind with tents and sleeping bags. 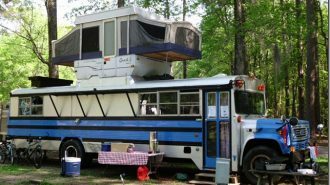 But being as I grew up in Florida, my folks had decided that camping without AC simply wasn’t an option — and having a TV and fridge full of beer on board didn’t hurt, either. 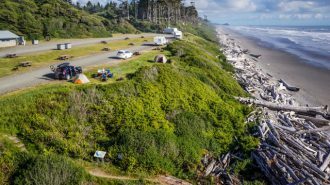 The combination of camping’s convenience and flexibility with all the comforts of a luxurious home is one of the first aspects of RVing that draws people to this form of travel. And let’s be real, even the highest-end leather sofas and top-of-the-line chrome kitchen appliances are not all that luxurious if you’re sweating to death while using them. In other words, your RV’s air conditioner is a pretty important piece of equipment. And learning more about your AC unit can help you understand and get ahead of pesky maintenance issues — not to mention save you a heap on repair bills. And although some issues are more complicated than others, there are a few simple ways even a novice can troubleshoot their motorhome’s AC unit. In this post, we’ll go over what you need to know about how your RV air conditioner works, including a breakdown of the different types of AC units as well as furnaces and heaters. We’ll also take a peek inside the unit to see how exactly it performs the magic of keeping you cool as a cucumber — and learn how to address the most prominent maintenance issues so you never have to worry about going without that delicious coolness. From basic parts to installation and more, here’s your ultimate beginner’s guide to your RV’s HVAC system. So let’s start at the very, very beginning. As in: what the heck is “HVAC,” anyway? 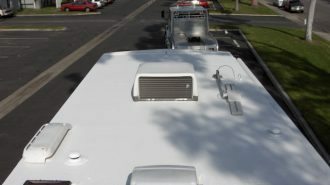 Although alternative configurations are possible — especially in older models, which may not have originally been manufactured with AC — almost every modern RV, be it motorhome or travel trailer, is going to have a rooftop air conditioner unit if it comes with AC pre-installed. These units are designed specifically to cool mobile homes and are great because they avoid taking up precious space in your RV’s limited footprint. They come in a variety of different sizes and power levels to accommodate different RV models. Some very large RVs, like Class A diesel pushers, may have more than one unit so as to ensure even climate control throughout the coach body. The BTU is a measure of energy — in this case, the amount of energy in the form of heat an air conditioning unit can remove from a room in an hour. In other words, the higher the BTU rating, the more powerful the AC, and the cooler it’ll keep your space for longer. 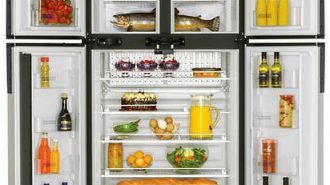 Higher-powered ACs can also handle cooling larger spaces, though again, depending on the design of your rig, you may need two units to do the job justice, especially if your rear compartment is separated from the main living space by a door. Common BTU ratings in RV air conditioning units are 11,000, 13,500, and 15,000 BTU, sometimes expressed as 11K, 13.5K, or 15K. However, other sizes are also available. Again, the more powerful the AC unit, the more space it can cool, but your specific camping air conditioning needs will vary depending on your rig’s make and model as well as your personal temperature preferences. 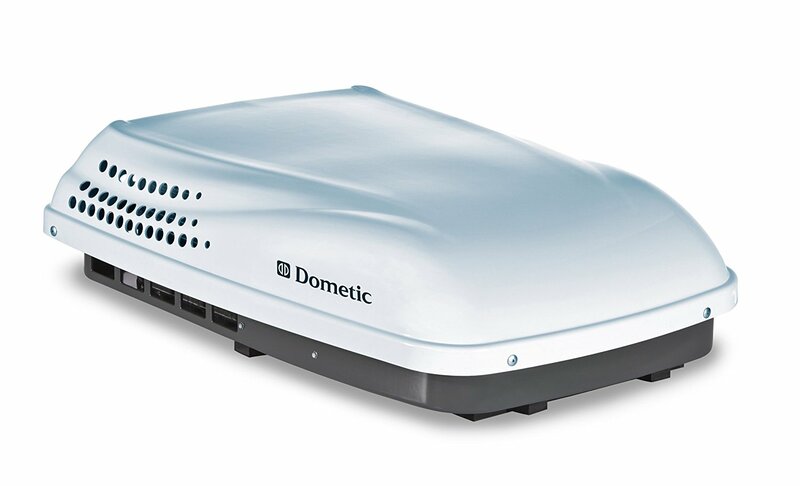 Along with the power rating in BTUs, rooftop RV ACs also come in both low and standard profiles. Both are pictured below so you can see the difference. 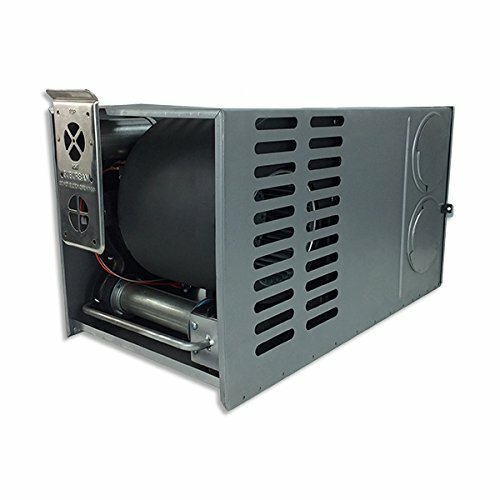 The purpose of a low-profile RV AC unit is obvious: it reduces the amount of clearance your RV needs to pass under bridges and other overhanging objects. After all, it’s already a pretty big vehicle! Low-profile RV AC units are also more streamlined and aerodynamic, which can increase your rig’s fuel efficiency; they’re also often lighter than larger units, which can help you shave a few pounds off that all-important total weight, especially if you tow a travel trailer. 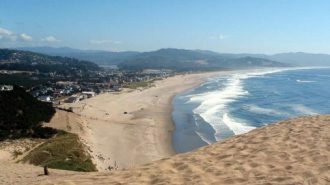 However, some owners and campers claim that low-profile units don’t pack the same punch their standard-sized counterparts do, and are happy to give up a few inches of clearance in favor of keeping nice and cool even at the hottest and most humid destinations. 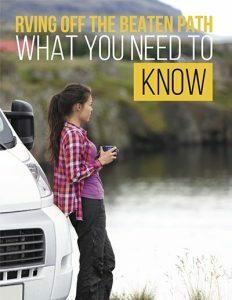 Now that we have a basic understanding of the different types of RV AC models available on the market, let’s dig into the more technical stuff: what’s going on beneath the surface. Although, again, there will be some differences between different RV air conditioner models, most air conditioner units have the same basic inner workings, which they use to create cool air. Whether at home, in your car, or in your RV, most modern air conditioners use special cooling chemicals, called refrigerants, to help lower the temperature of hot ambient air. Basically, the AC unit picks up the hot air in the vehicle (or home, or whatever) via an intake vent, and then runs the air over evaporator coils, which have these refrigerants inside them. Thus, the heat in the air transfers to the refrigerants in the evaporator coils. However, when they take on that heat, the refrigerants convert from a liquid state to a gaseous one. And when they’re in a gaseous state, those refrigerants can’t help you cool any more hot air. So in order to continue keeping you sweat-free, your RV air conditioning unit then has to transform those refrigerants back into liquids — which is done with a compressor. 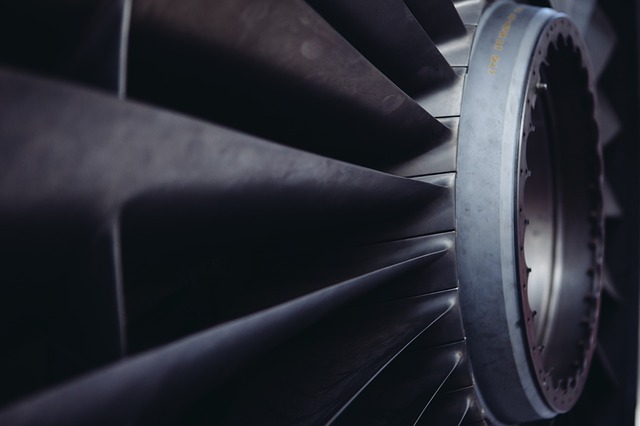 The compressor puts so much pressure on the gaseous refrigerants that they turn back into liquids, dispelling the heat they took from the air in the process. That heat is then directed outside of your RV with the help of condenser coils, as well as an RV vent and fan system. Phew! Who knew your simple little camping air conditioner required a science degree? But although it may seem complicated at first, once you understand it, it’s all simple mechanics — which makes it a lot easier to troubleshoot any issues that may arise. One more quick note before we move on from this part of the post: although they use the same basic scientific principles to work, RV air conditioners can be set up in a variety of different ways, and their parts aren’t always in the same places across motorhome models. For instance, your rig might feature a ducted RV air conditioner, which includes a system of air vents situated throughout the coach body to ensure consistent cooling. If you’re in a smaller RV or camper van, though, the unit may only blow directly, kind of like a window unit you’d use in an apartment or house without central HVAC. 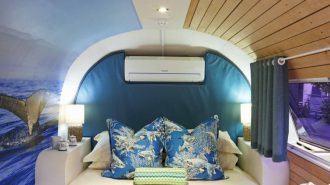 These non-ducted RV air conditioners can be just as powerful as the ducted versions, but you’ll definitely be a lot chillier directly in front of the vents than you would be further away from them! Finally, your RV air conditioner and general HVAC system may be controlled in a variety of different ways, especially if you have a secondary furnace. (Again, we’ll get more into heating in the next section.) Many RVs feature a cohesive air conditioner/climate control panel, which allows you to adjust all the interior climate devices from one place. If your RV has more than one heating and cooling unit, you’ll likely see your options broken down into different “zones,” which you can adjust independently. Zone one is typically the front of the rig (living room area), while zone two is the rear of the coach (usually the master bedroom). Keeping cool is one (very important) thing. But if you’re traveling in cold weather, you’ll want to know how to keep the inside of your rig nice and toasty, too. Many RVs are equipped with heaters and insulation that can ensure you’ll stay cozy — and safe — even in freezing temperatures. These motorhomes and trailers are often advertised as “four season” RVs on the dealership floor. The warm air pumped through your RV heater vent generally is produced by one of two industry standard elements: an RV AC heat pump, or a propane furnace. 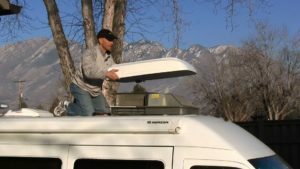 The main difference is that the furnace is run off propane gas, while a heat pump uses electricity to warm your RV — and is, oftentimes, a part included in the rooftop AC unit. 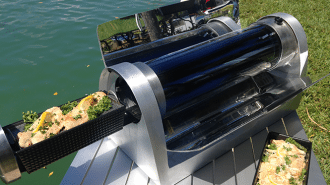 When you’re in a campsite that’s connected to shore power, using a heat pump to warm the rig can save you money on propane… not to mention the hassle of needing to refill your propane tank sooner than expected. But beware! Your heat pump isn’t built to handle extremely cold temperatures, and below about 45 degrees, it’ll struggle to maintain a comfortable living temperature inside your RV. In fact, it might even quit working altogether. Your RV’s propane furnace is the camper heater you’ll want to turn to if you’re traveling in an extreme winter climate. You’ll notice that your RV propane heater’s power is also measured in BTUs, but you’ll see that they usually are much higher than your rooftop AC unit — 20,000-30,000 BTU is common. It makes sense, then, that you’d want to use this more powerful heating element when you’re facing serious cold! 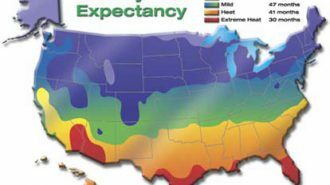 If you’re just in an area where it’s a little chilly outside, however, your heat pump is the best option for warming your rig quickly and efficiently. 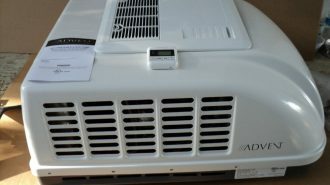 However, not every RV AC unit has an included heat pump option, since the units that do are costlier. Consult your RV’s user manual to learn what your specific heating options are. For instance, if you have two RV AC units, you may find that one has a heater and not the other — again, a choice likely made in an effort to save money during manufacturing. Once again, the specific steps for preparing, mounting, and installing your RV AC unit will vary depending on which brand and model you choose, as well as your RV’s existing air conditioner setup. Be sure to check that your new AC unit will work with your current configuration before you spend hundreds of dollars on it! 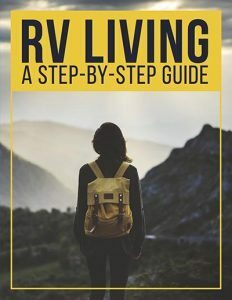 Although it’s important to consult the RV AC manual for full, step-by-step installation details, we can provide a few general pointers here. 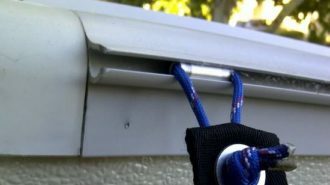 You’ll first need to remove the old AC unit — or, if your RV came without one, you’ll need to create a roof vent to hold your AC unit. If you’re removing an existing unit, be sure to get all the screws and carefully scrape away the caulking or sealant; you want to ensure you’ll get just as tight and waterproof a fit with your new unit! You’ll also need to ensure that the existing wiring matches your AC’s requirements, or install proper new wiring if you’re starting from scratch. A few other words of advice: don’t use the AC unit’s exterior shroud (the outside casing) to lift it; even lightweight ACs are sometimes about a hundred pounds and should be lifted from the bottom. And when you’re matching the unit up with your RV’s AC vent opening, make sure it’s facing the right direction — sloped part forward! Here’s a great step-by-step, DIY RV installation tutorial video from RV Education 101 on YouTube. This tutorial is specifically for an ultra-low-profile Coleman RV air conditioner unit, but many of the steps and techniques can be applied to a variety of different types of RV ACs. But again: when in doubt, hire a professional! 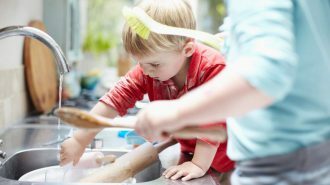 When you’re talking about a large, powerful electrical appliance, it’s way better to be safe than sorry — to avoid shocking both your body and your wallet. Even if you’re not sure you’re ready to install your entire RV AC unit yourself, you’re probably able to do more minor troubleshooting and repair than you think! Some of the most common issues AC units run into are relatively simple to fix. 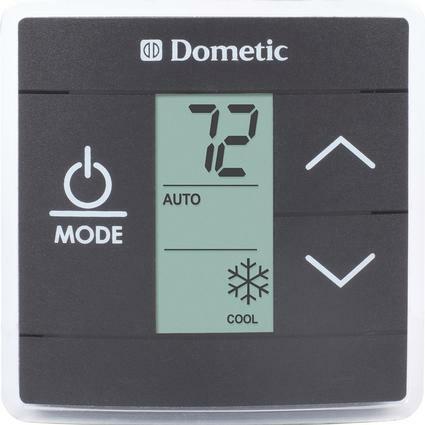 For instance, in many cases, the trouble may not be with the AC unit itself, but rather with the thermostat. The unit can be working perfectly and ready to cool your camper into oblivion, but if the thermostat’s not communicating with it correctly, that won’t matter! For that reason, always check the thermostat first when there’s an issue with your RV heating and cooling. If the thermostat is battery-operated, it might be time to change the battery; if it’s electrically wired, the issue may be local rather than within the rooftop unit. Another super-common problem? Forgetting to change the AC filters. 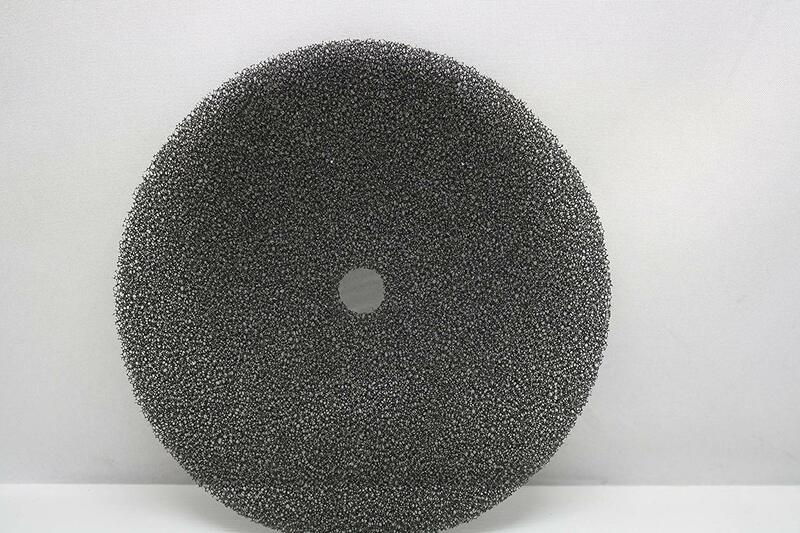 It might seem like a little thing, but an old, clogged filter can actually keep your unit from cooling the coach properly… not to mention introducing all sorts of ickiness into the air you’re breathing. It’s important to replace your RV’s AC air vent filters frequently — and it’s not expensive to do so. You can find a four-pack of replacement filters for about $10 on Amazon, which is a whole lot cheaper than calling up the RV repairman. So if it’s been a while and you’ve noticed your AC hasn’t been keeping things quite as cool lately, try and replace the filters first and see if that helps to get things flowing. Another common problem: your AC unit might be leaking fluids. Remember those refrigerants we talked about near the top of the post? One of the most common ones, which you’ve probably heard of, is called freon. If your unit is blowing hot air rather than cold air, it’s possible that you’ve got a leak on your hands. Check around the unit thoroughly for signs of this leakage. 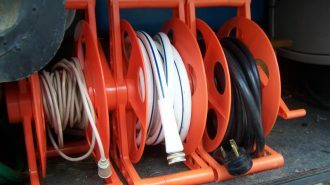 If you spot it, you’ll need to find a way to stop the leak — which, again, may require professional help — and then top up the liquid chemicals in the unit. If you’re still experiencing issues with your AC unit, it’s possible that one of the interior parts we mentioned, such as the compressor or one of the fans, has gone bad. After all, things fall apart — it’s just what happens! Depending on your specific issue — and, again, your skill level — you may be able to DIY the solution, especially since there’s such a rich resource of repair tutorials and guides on YouTube. For example, here’s a video on how to replace your RV’s exterior shroud, courtesy of The Fit RV. DIYing your repairs is a great way not only to save cash, but also to learn a new skill (or three) while you’re at it! If you’re on the market for a new RV air conditioner, you want to make sure you’re getting the very best bang for your buck. After all, these babies are pretty darn expensive. If you’re doing online research, you’ll probably find websites offering rankings of the best RV air conditioner, sometimes even on a yearly or monthly basis — for example, US Auto Authority’s Best RV Air Conditioners of 2018. You can also browse user reviews and responses on websites like Amazon and other online camping outlets when you’re comparing different units. 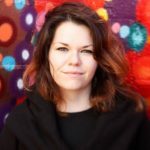 These rankings and reviews can be a helpful tool in helping you learn more about the reputation and performance of different machines. 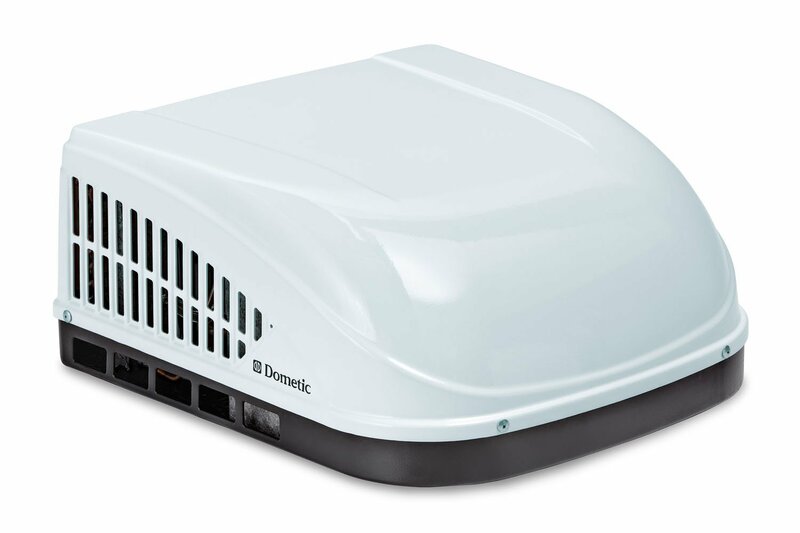 Many campers have different takes on which is the most efficient or quietest RV air conditioner; units by the brand Dometic are often held in high regard. However, even a used RV air conditioner will perform better if you maintain it — and also know how to use it properly. As we’ve mentioned, it’s important to perform basic maintenance checks, such as looking for signs of fluid leakage and replacing the filters, on a regular basis. This will help ensure that your RV’s AC unit enjoys the longest life possible — which means you stay cool as long as possible! 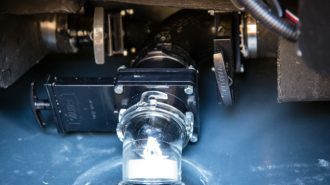 You should also perform deeper cleaning on your RV’s AC unit from time to time, including removing dirt and debris from the evaporator and condenser coils. Your evaporator coils should be exposed when you remove the filters, so you can take your replacement as an opportunity to cleanse them by using the soft bristle brush of a hand vacuum. Your condenser coils, however, are located underneath the shroud on the exterior of your rig, and may require a cleaning product to cleanse thoroughly. 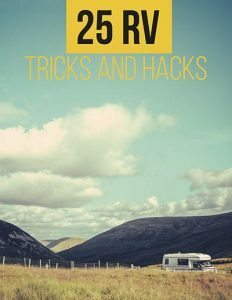 Whether your RV AC is pristine and well-maintained or honestly a little bit outdated and clanky, you’ll get a lot more performance out of it if you learn a few simple secrets. For instance, your RV AC likely has a variety of different fan settings, just like your home unit: low, medium, high, and auto. Keeping your AC unit on auto is a great way to conserve power and keep the rig at a steady, comfortable temperature… but learning how exactly your AC figures out what that temperature is could help keep you cooler. Pictured above is an RV AC temperature sensor, which is what your thermostat uses to gauge how warm or cool the air is in the rig. However, depending on where these sensors are and what the temperature outside is doing, you may find that the main coach area is warmer or cooler than you’d like — as in, the temperature there doesn’t match up with the temperature at the sensor. Once you know where your sensors are, you can make a more informed decision about the temperature you program into your rig’s thermostat. 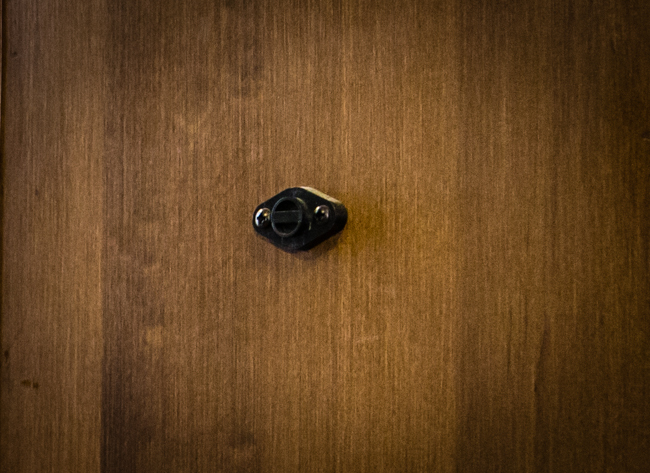 You can also avoid creating drafts or warm spots in front of those sensors, which will throw them off. Another great tip for hot climates: if you want to cool off a large rig quickly, try closing off the vents in the rear AC unit. 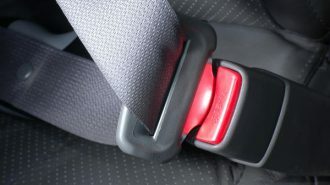 This will force the cold air toward the front of the vehicle, which will help get the main living area nice and chilly in a flash. 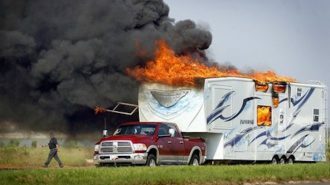 Finally, don’t forget about harnessing the power of nature when it comes to controlling your RV’s interior temperature. 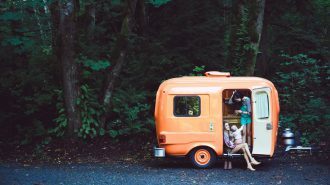 If you’re camping in an especially hot area, finding tree coverage can help keep your rig from heating up too much; your RV’s window awnings will also help create a shady, cool RV interior. One neat trick we like, if you’re not going to be moving your camper very often, is to use snow to create an insulated skirt for your RV, which will help keep its sensitive plumbing systems warm enough to keep from freezing. You’ll also need to winterize your RV’s water system with RV-friendly antifreeze — we’ve written a guide on how to use RV antifreeze (and how to tackle some other common winter hazards) here. 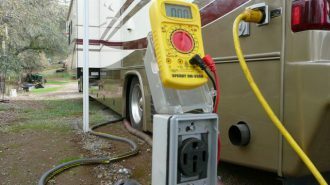 We hope you’re feeling cool and collected after reading this comprehensive guide to your RV’s HVAC systems, but if you’re looking for even more information, we’ve got you covered. 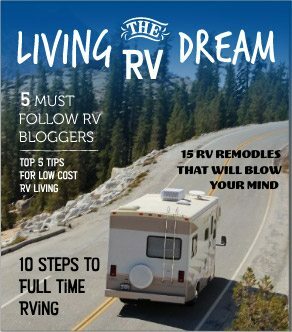 Check out this RVshare post for more common RV AC repair and maintenance tips and tricks. 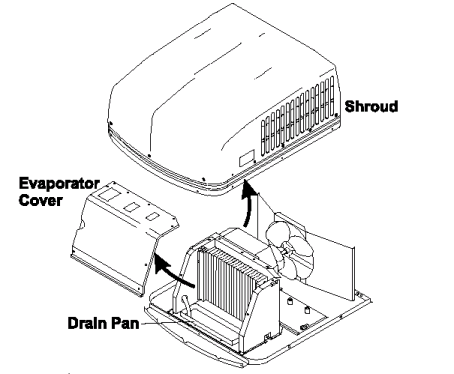 And click here for a basic guide on RV air conditioner repair. Stay cool out there, campers!